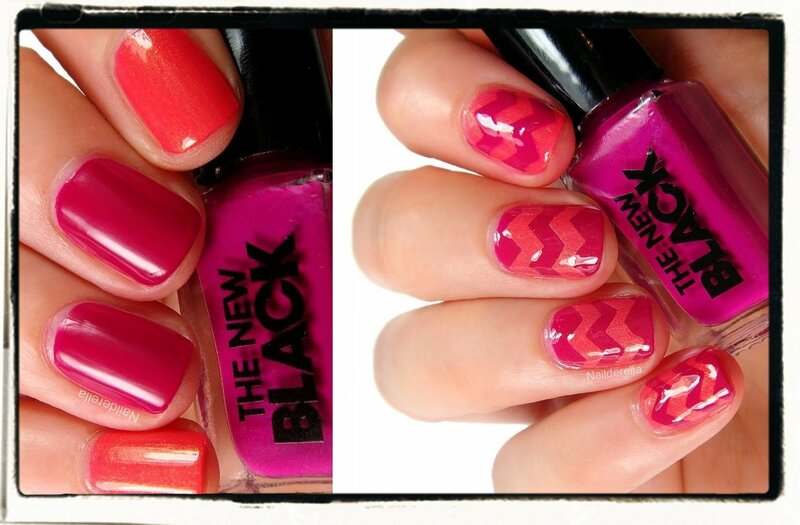 What about some nail art with polishes from The New Black? Today I have the set called Tabolid Sensations to show you! This set is part of the Subculture - Contemporary Neons collection and is made of 2 polishes: a super bright fuchsia creme and a coral with a beautiful gold shimmer. The New Black polishes are free of toluene, formaldehyde, camphor, and DBP. Each polish holds 0.125 oz/3.7 mL of nail polish. The fuchsia polish of this set is super bright and dries to a matte finish (see the following picture). It is very well pigmented and require only 1 coat for a fully opaque look. The shimmery coral requires 2 coats. Both polishes were very easy to apply! 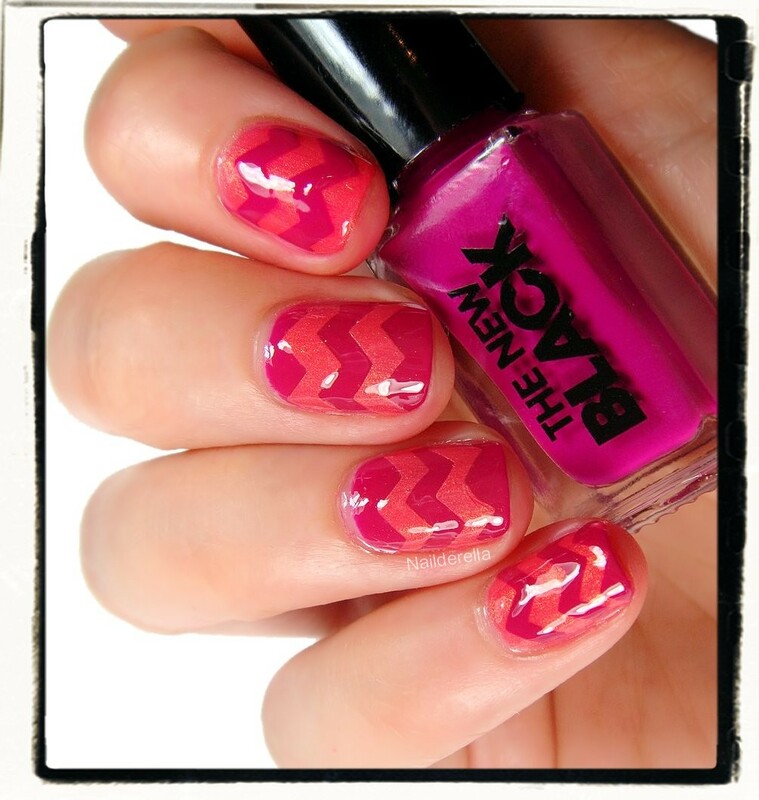 I decided to do a zigzag/chevron manicure with these 2 colors and just love the result! I first painted both colors on a plastic ziplock bag, waited for them to dry, and then took my zigzag scissors to cut strips out of them. 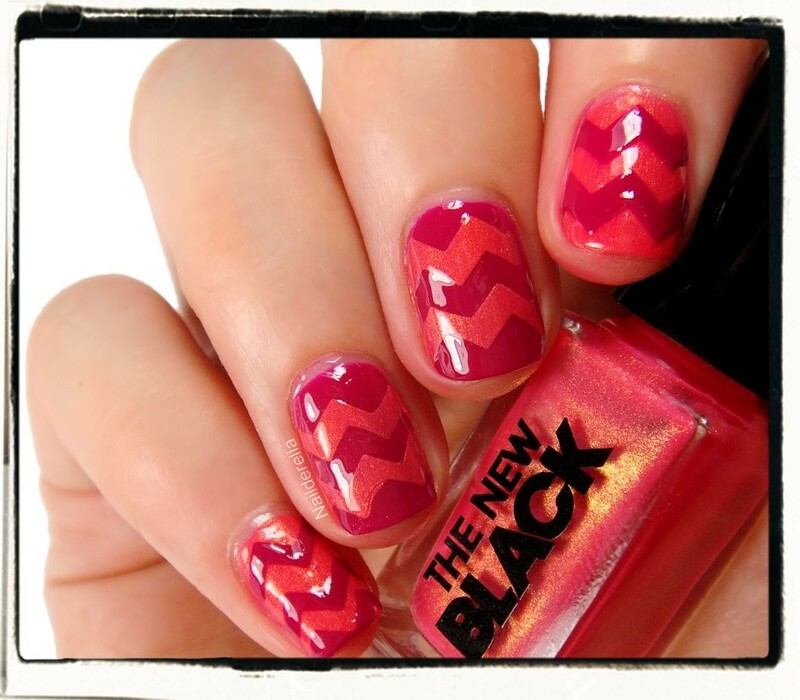 Finally I placed the zigzag strips on my nails and sealed everything with top coat. Final thoughts: The set Tabolid Sensations by The New Black is just awesome! The bright fuchsia and shimmery coral go so well together! I actually wore them for one week with the fuchsia on my thumb and middle and ring fingers and the coral on my index and pinkie (without the zigzag pattern) and got so many compliments on how awesome these 2 colors looked together and that it was such a good idea to pair them in one manicure! 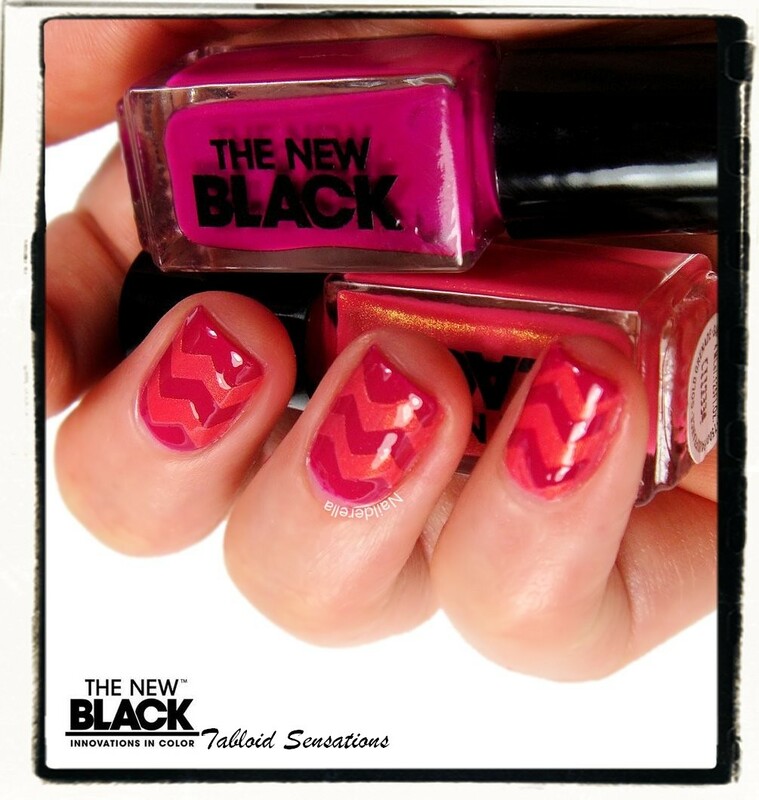 The New Black polishes can be purchased from The New Black. Other retailers, such as Pshiiit Boutique, also sell The New Black sets. You can follow The New Black Europe on Facebook.